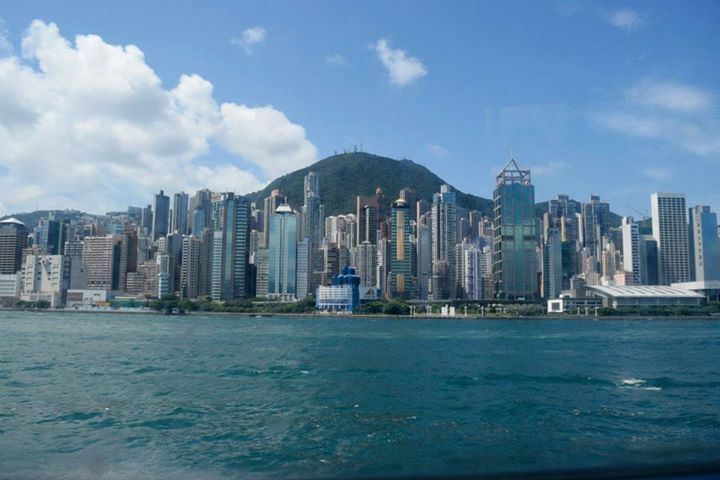 Despite having been to Hong Kong several times before, I’d never ventured the short ferry hop across to Macau. It’s always one of those ‘I’ll do it next time’ things. This Hong Kong visit was finally the time. I was ready to explore the tiny ex-Portuguese colony by myself but my Hong Kong cousin kindly offered to take me. As a Hong Kong resident for the last 21 years, he was an excellent tour guide as well as great company! 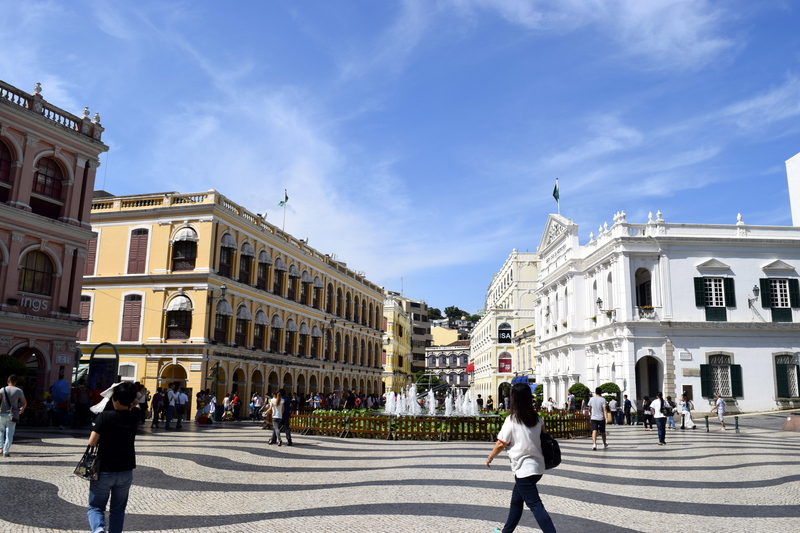 For those who don’t know much about Macau (which, admittedly, was me only a few months ago), it’s a Special Administrative Region of China (like Hong Kong is) and was a Portuguese colony until 1999. 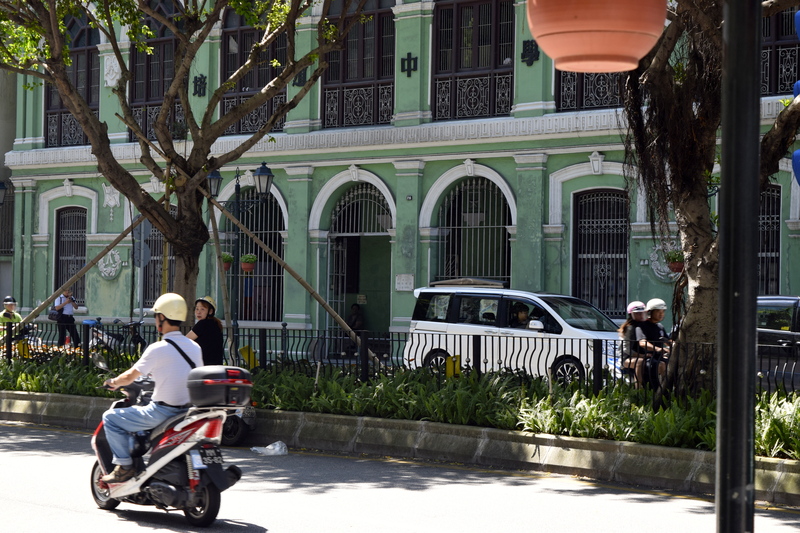 The most fascinating thing about Macau is the stark contrasts seen in a territory so tiny, at 28.2 sq km. 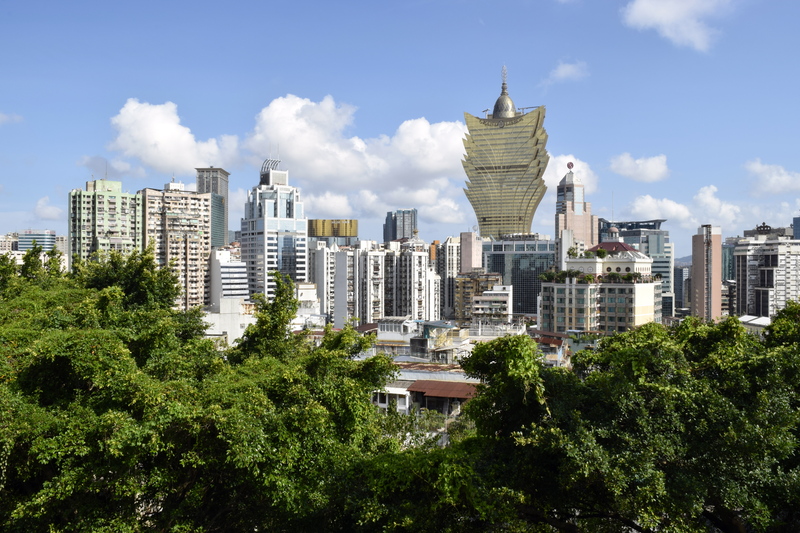 As one of the world’ richest cities, Macau is known as the Las Vegas of Asia and it’s economy relies heavily on it’s massive maze of casinos, which are located in the centre of Macau. 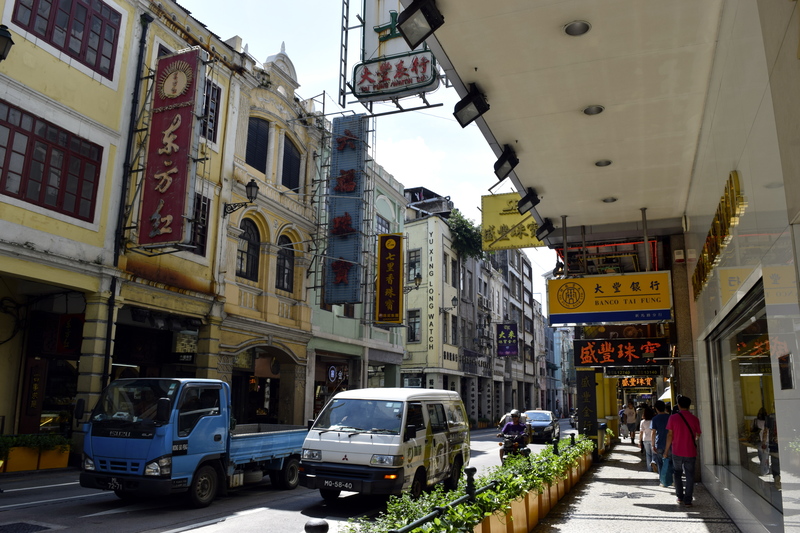 But sandwiched either side of the casinos, and just a short bus/taxi ride away, is old Macau. It’s like stepping back in time: old fashioned, quiet and surprisingly colourful. You could easily believe you were in Portugal, not three or so miles either side of a Chinese casino mega-city. 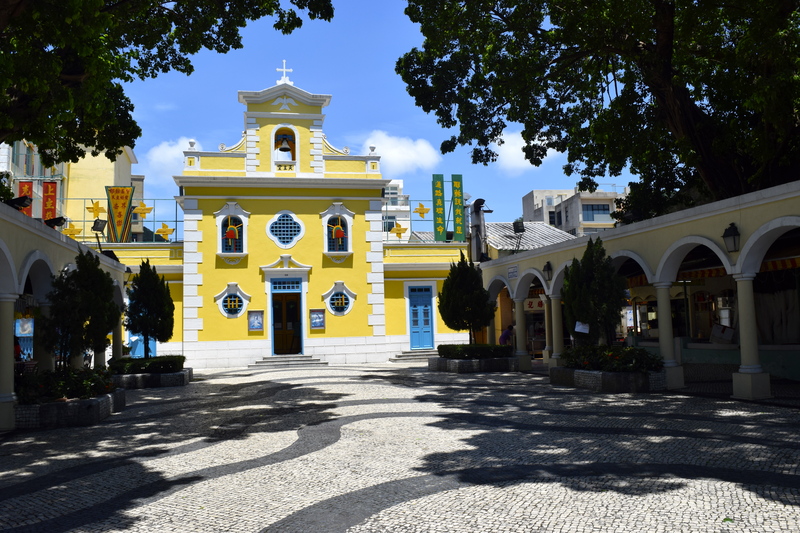 The southernmost part of Macau is Coloane, which is rural and traditional. If you’re looking for a great place to eat nearby, I highly recommend Fernando’s by the coast. My cousin has been going there every Macau trip for the last 20 years and says its faultless menu of cheap and freshly cooked comfort food hasn’t changed over the years. We easily polished off some garlic-fried shrimps, BBQ chicken, oysters, the greatest salad with homemade dressing and other tasty treats between the two of us. (Rumour has it Fernando himself still works at the restaurant, although no one seems to be able to point him out). 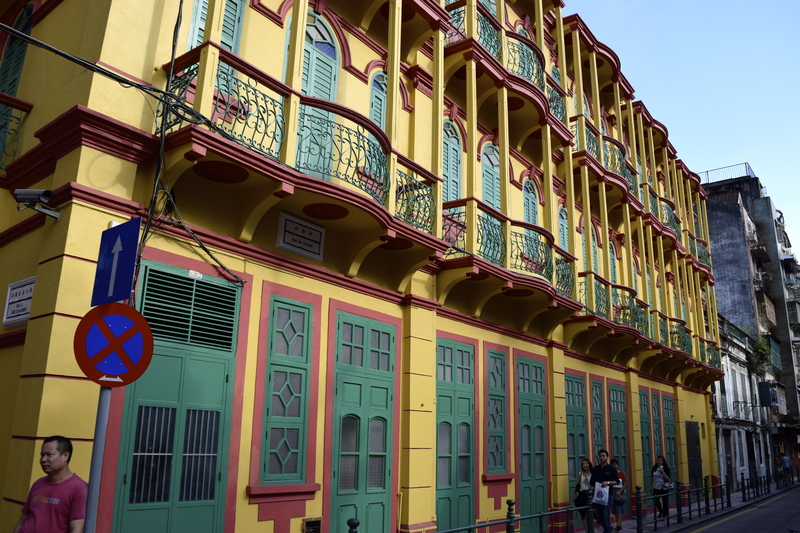 Up north of the casinos in the main part of Macau, we meandered round the streets, which were much busier than in Coloane but still retained the same traditional Portuguese feel. Although there were a lot of Asian-style-mopeds around so you were quickly reminded which continent you were in! 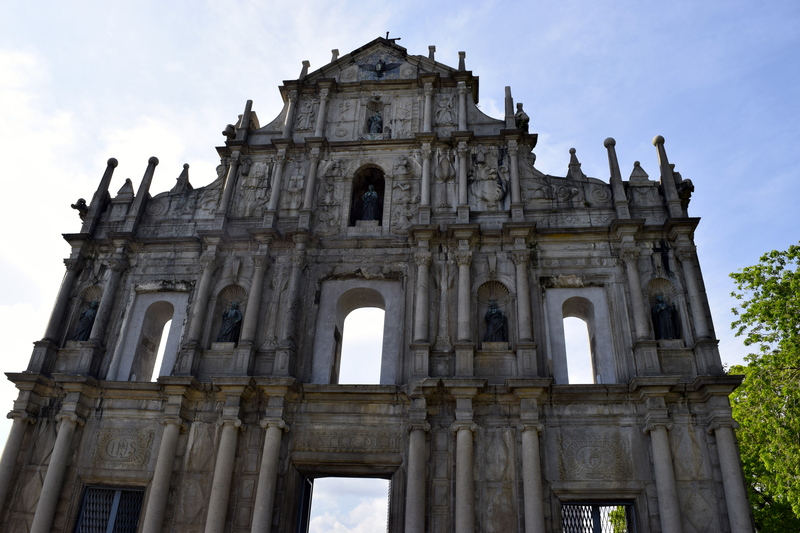 One of the most famous tourist sites in Macau is the ruins of St Pauls and Monte Forte, both historic Portuguese buildings. 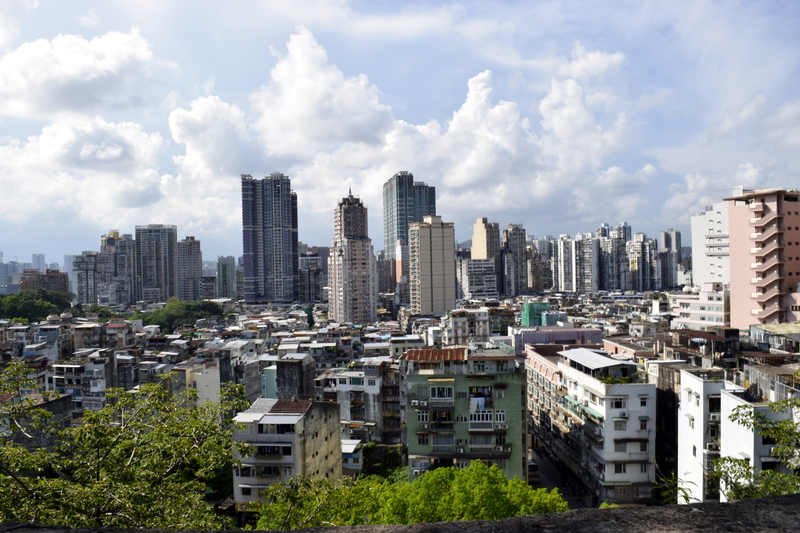 From Monte Forte, you get stunning panoramic views of the ‘real’ Macau squished next to the casinos. A stark contrast. 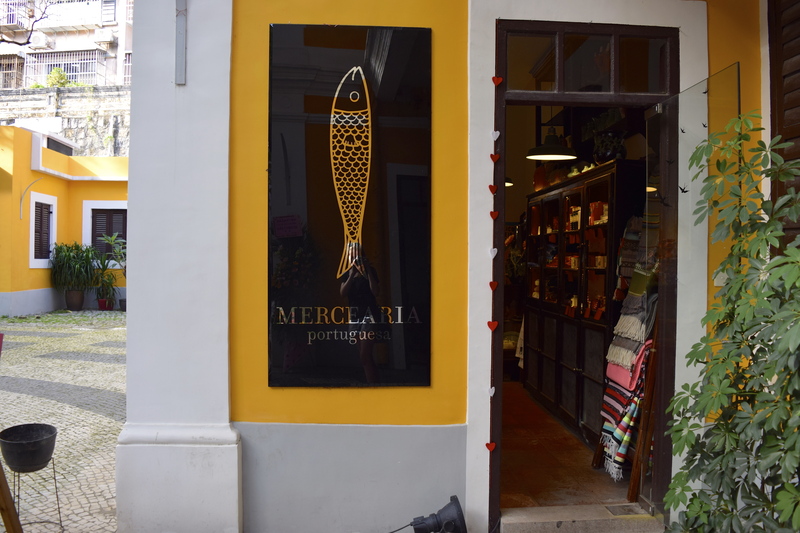 Just a short walk east of the famous ruins of St Pauls, we found a beautiful little shop selling traditional homemade Portuguese goods called Merceraria Portugesa. We met the lovely young woman who owned the place and she had a chat with us about Macau and what the locals think. In general, she said the locals don’t mind the casinos because they bring in such a lot of money. 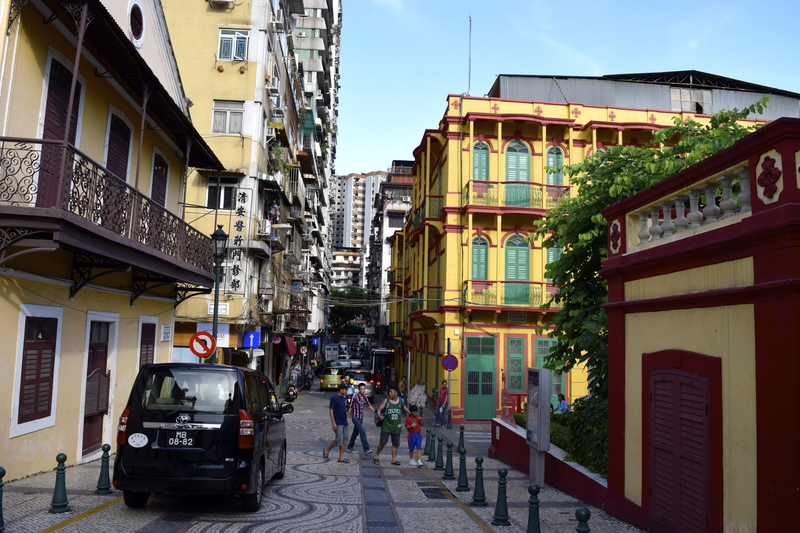 However, we mentioned that walking round the more local parts of Macau, it seemed that the wealth didn’t reach the average citizen. True, she agreed, but the government makes so much money that each citizen gets given a certain amount of money for free each year. Imagine that! A government that makes so much, they don’t know what to do with it, so they just pay money into everyone’s bank account. Crazy! She said last year, each person got the equivalent of €900 (about USD$900). Overall, I would say Macau definitely charmed me. It’s a bizarre mix, that’s for sure. You really have not seen anything like it until you enter these humongous garish complexes and see the gamblers for yourself. There’s no natural daylight and it’s all rather eerie and over the top. 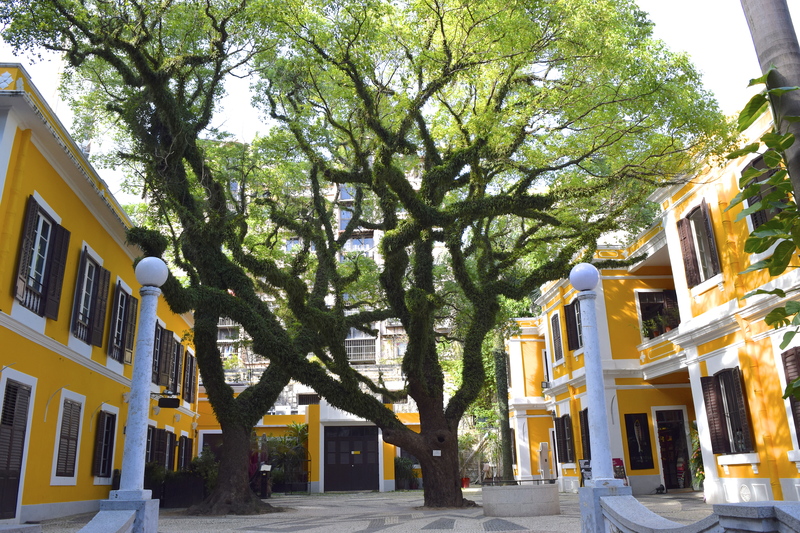 Outside in the real world, Macau is a beautiful traditional gem in an area which is increasingly closing in on old districts and knocking them down to build new, sterile compounds. A real shame. There’s a lot to be earned from tourists visiting traditional Macau but clearly the big boys at the top know they can make a heck of a lot more by building yet more casinos. 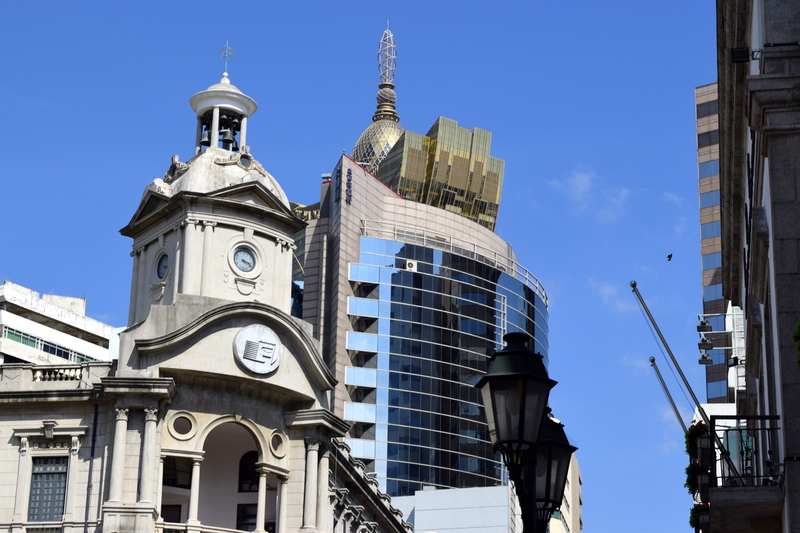 Let’s hope Macau can stave off the developers and hold on to its heritage for a while longer. 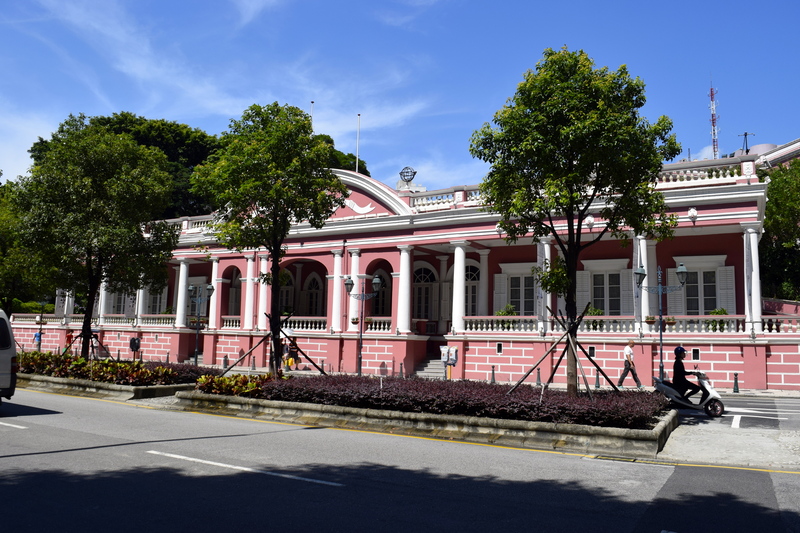 Have you been to Macau before? What did you think of the Chinese casino/traditional Portugal mix? Tell me your favourite part in the comments below!